The San Jose Sharks made a splash during the first intermission of tonight’s preseason game with the surprise unveiling of their new third jersey — which they’ve dubbed the “Stealth Jersey” — worn by newcomer Erik Karlsson! 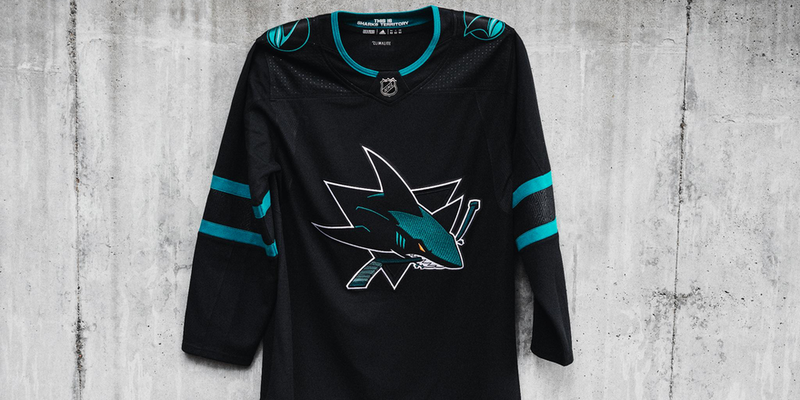 Confirming the leak from just over a week ago, the new sweater is solid black with two stripes of teal on each sleeve. The crest is a version of their primary logo with more black and less orange. 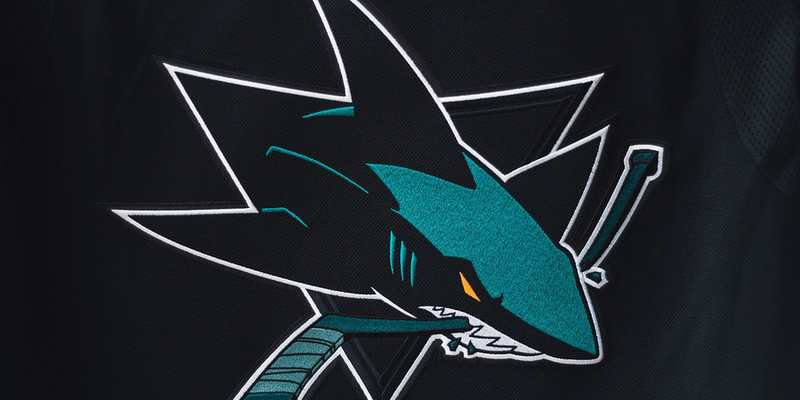 The shoulder patch is a bit of a throwback — a version of their original shark fin logo but with more black. To keep the nameplate and numbers legible, those will still be in white. By the way, I just have to say that I’m not sure the “stealth” thing really applies here. How does going head to toe in black help a hockey team be more stealthy on a sheet of white ice? If you want stealth mode, talk to the Toronto Maple Leafs about their 2018 NHL Stadium Series uniform. But that’s more a critique of how the jersey is being marketed rather than how it’s been designed. On that point, it is something else. Take a closer look at the design between the sleeve stripes. The circuitry pattern is a nice homage to tech-centric Silicon Valley not unlike their previous black jersey — unveiled a decade ago — which was nicknamed BlackArmor in a partnership with Seagate. Which is all to say the Sharks have a history of tech tie-ins with their branding. Even more interesting than any of that is what the designers at Adidas have hidden in that seemingly random pattern. If you look closely, you’ll find a subtle “SJ” in there somewhere. That’s just plain cool. Another new detail I caught in an Adidas design video was a redesigned numeral set. From what Karlsson was wearing tonight, it didn’t look the letter design would be changing. 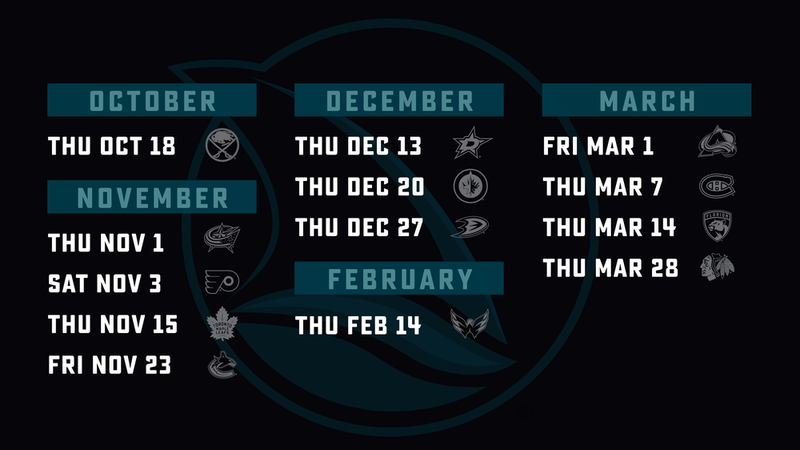 Lastly, the Sharks also released a 13-game third jersey schedule. This new look will make its debut on Oct. 18 when San Jose hosts Buffalo.